According to the Red Cross, if a home fire occurs, you may have as little as two minutes to get out. The best way to protect your home from a dangerous fire is to remove all fire hazards and keep smoke alarms in good working order. Similarly, the best method of protecting yourself and your family is to create an escape plan that you practice regularly (at least twice per year). Here are some fire safety tips to fire-proof your home and family members. Look around for items that can catch fire and keep them a minimum of three feet away from things that can get hot, such as space heaters. Identify flammable items, such as paper bags, and move them to at least three feet away from heat sources. Keep matches and lighters away from your children’s inquisitive hands. Understand that children are naturally curious. Therefore, keep all personal incendiary devices out of their reach. Turn off portable heaters when you leave rooms or prepare to go to sleep. Portable heaters help you save energy and money by heating only one room at a time, instead of heating your entire home. However, they can get very hot, posing a fire risk. Remember to turn off these heaters when you leave rooms or retire to sleep for the evening. Have working smoke alarms on each of your home levels, particularly inside bedrooms. Smoke alarms save lives. Install at least one on each floor of your home, preferably near or inside bedrooms, since sleeping family members are sure to hear warning alerts. Test your smoke alarms at least once a month, changing weak batteries with fresh ones.Smoke alarms have test buttons, making it easy to form the habit of testing them once per month. If your batteries have been installed for a year or more, replace them. Replace smoke alarms over 10 years old, as they may not work properly when smoke is detected. Design family fire escape plans with two potential exits from every room that will get your family members outside quickly; then practice your plans. Since hot air is lighter than cold air, heated air rises. Basements, whether finished or not, are common sources of home fires that move up quickly, because of the “stuff” there (central heat furnaces, oil tanks or natural gas main inflows, etc.). Along with teaching your kids to dial 9-1-1 , explaining the details of your escape plan, and practicing the plan so they can get out of the house in two minutes or less, equip your basement windows with quality window well covers from Window Well Experts—not the $9.00 specials you can get at your local hardware store. These cheap well covers, made of thick plastic, must be screwed into the siding of your home and cannot be opened from the inside. However, custom covers can open easily, allowing your family members to get to safety quickly when smoke alerts occur. 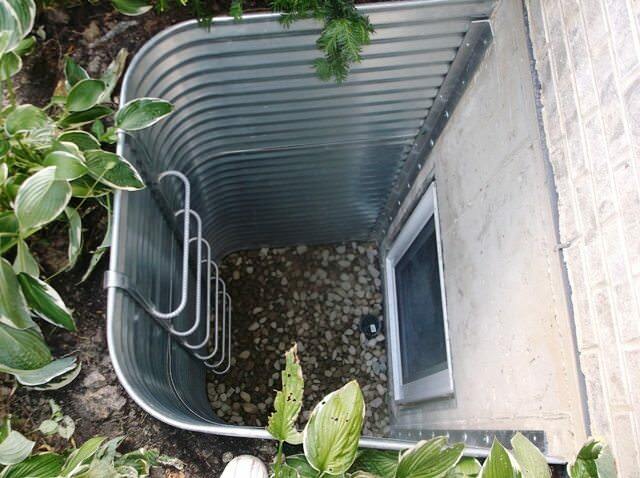 If your children cannot use the basement stairs, these custom well covers provide the second escape route required to save lives. While saving money is great, how do you put a price tag on your spouse’s and children’s lives? When you install custom hinged covers, they can escape a life-threatening home fire quickly and safely.